Adding to Nike’s latest Air VaporMax Plus lineup with gradient uppers, the Swoosh is now set to release a brand new “Wolf Grey” colorway. This Nike VaporMax Plus is highlighted with a back-to-front fade that flows from Wolf Grey to Black atop a White midsole. Black Nike Swoosh logos, 3M detailing and a full-lenght VaporMax sole unit completes the design. 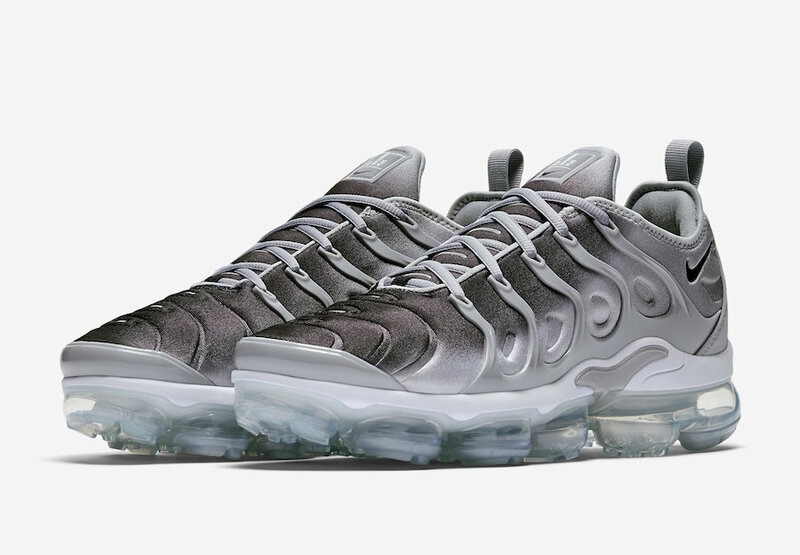 Look for the Nike Air VaporMax Plus “Wolf Grey” to release on April 26th at select Nike Sportswear retailers and Nike.com. The retail price tag is set at $190 USD.